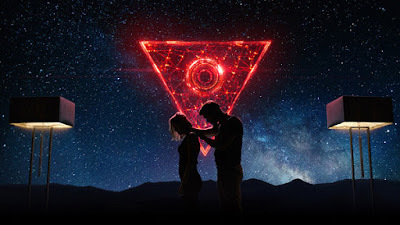 Netflix has acquired the global rights (excluding China) to Federico D’Alessandro’s "Tau" starring Maika Monroe (Independence Day: Resurgence, It Follows), Ed Skrein (Deadpool) and Gary Oldman (upcoming Darkest Hour). BLOOM handled international sales on the sci-fi thriller, and brokered the deal with Endeavor Content. "Tau" follows a once street-smart grifter, Julia (Monroe) who is the latest victim kidnapped and held captive in a fatal experiment. The only thing standing in the way of her freedom is Tau, an advanced artificial intelligence developed by Alex (Skrein), her captor. Tau is armed with a battalion of drones that automate a futuristic smart house. Tau’s potential is only limited by his understanding of the world he exists in, but Tau is ready for more. Julia, showing resourcefulness and courage, must race against time to bridge the boundaries between man and machine, connect to Tau and win her freedom before she suffers the same fate as the previous subjects. "Tau" is penned by Noga Landau and financed by Hercules Film Fund and Ken Kao’s Waypoint Entertainment under his first look deal with Addictive Pictures. David S. Goyer produced under his Phantom Four banner alongside Russell Ackerman and John Schoenfelder for Addictive Pictures and Kevin Turen. 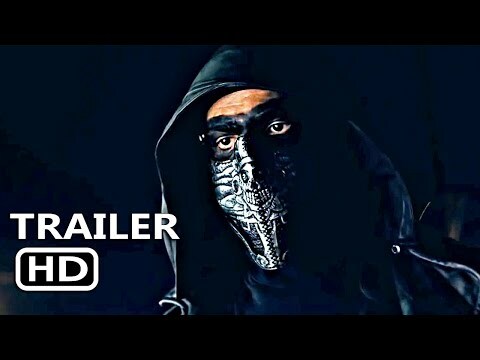 Rhea Films co-produced the film with Paris Kassidokostas Latsis, Terry Dougas and Jean-Luc De Fanti serving as executive producers along with Ken Kao, Dan Kao and Luc Etienne as executive producers. At AFM, BLOOM is handling international sales on lauded Chinese director Zhang Yimou’s "Shadow," Victor Levin’s "Destination Wedding" starring Kean Reeves and Winona Ryder, and Jake Scott’s "The Burning Woman" starring Christina Hendricks, Sienna Miller and Aaron Paul. Most recent titles include George Clooney’s "Suburbicon" starring Matt Damon and Julianne Moore, which Paramount Pictures released in October and Scott Cooper’s "Hostiles" starring Christian Bale and Rosamund Pike, which received great acclaim following its premieres in Telluride and Toronto.